Voks from Copenhagen, Denmark has previously released his music on an Ed Davenport 12 and the Xart Hybrid compilation, as part of Goodiepals Goodiebag/ Demonbag 7 series on V/VM and via the datamusik.dk website. Vaks Vanskab AK is his debut album (well, we call it album) and contains 10 (yes t-e-n) beautifully disturbing and happily sad little sketches. While being deeply influenced by early releases of the Rer, Aaya disques, ATA TAK, Ralph Records and Crammed disc labels, Voks perfectly translates his preferences to highly original and individual musical instruments. We call it Perfect Pop Music (but who asks us?). The enigmatic Spanish duo of Fran Gayo and Mónica Vacas paints dreamily abstract pictures of muted joy, pleasant weariness, and melancholy resignation using soft-focus watercolor strokes. Their sound drifts and wavers with once-bright colors now on the edge of darkness, like the end of a sunset. It's ever-so-slightly techno influenced, with minimal sampled beats, but keening sampled strings and wordless drifting female vocals are the predominant musical elements, giving their pieces the poignancy of lullabies, albeit slightly disorienting, vaguely millennial lullabies. When there are words, they're sung in Asturian, an exotic language spoken in the northwestern part of Spain, making them sound like the incomprehensible fairytales of a lost culture. The Pirate Ship Quintet is a post-rock band comprised of 8 members, hailing from Bournemouth and Bristol. Apart from standard rock instruments, the band incorporates trumpet and cello into their line-up. TPSQ's debut self-titled EP, mastered by Cult Of Luna's Magnus Lindberg, was released in April 2007. Maria Solheim is a Norwegian singer-songwriter. She signed her first record deal with the label Kirkelig Kulturverksted in 1999 at the age of 17, and her first album was released two years later. She frequently tours Norway and Germany. She is also known for her small feature on the song Paradigms from Extol's album Synergy. A lot has come to pass since Maria Solheim released her last album, “Frail”, two years ago. Since then, Maria has performed concerts in Great Britain, China, Thailand, Japan, The United States, Austria, Luxembourg and Switzerland, as well as in Scandinavia, including a “royal command” - performance at the christening of princess Ingrid, heiress to the Norwegian throne. - It was a little…different, indeed, laughs Maria. Usually when I perform, I tend to focus on familiar faces in the audience, and on that occasion the only people I knew where the crown prince and the crown princess. It was quite an experience. A great honour, and a nice memory to look back on later. Despite her tender age, Maria, who was discovered at fifteen while playing her first ever gig in a small fishing community in the arctic north of Norway, is now established as one of the country’s leading singer/songwriters. So how would she describe the difference between the Maria Solheim of today, and the teenager who made her debut on 2001’s “Barefoot”? - Experience has given me a sense of self-confidence, which has spurred me to take some chances. 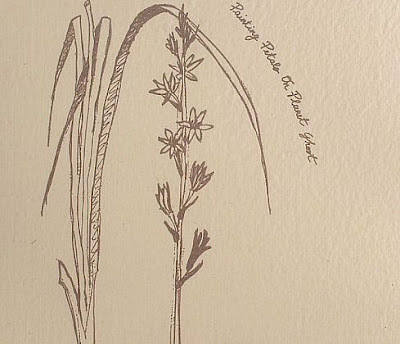 By all means, Will There Be Spring is not a “difficult” record, but it pushes the envelope a bit. A little bit more psychedelica, a little bit more madness. The fact that the album was recorded on analog equipment had a big influence on the final result, it has become a simpler and more direct record than it would have been had it been done digitally. Begun in 1993 as the project of Stephen Gardner from Arlington, VA, Chessie explores the physical, emotional, and aesthetic aspects of railways through sound. Gardner, who has worked for and traveled extensively on railways, processes his railroad experiences through various electro-acoustic production methods including analog tape techniques, acoustic instruments, and sequencer-less recordings. Following two full length LP/CD's (Drop Beat's 1997's "Signal Series" and 1999's "Meet") and various singles, Gardner was joined full-time by Ben Bailes, a sound engineer and producer based in New York City, who has been listening intently to the world around him for as long as he can remember. The two started collaborating in 1998 while Gardner was recording "Meet", and came to enjoy working as a duo. In the summer of 2000, Gardner and Bailes began writing and recording "Overnight", a new LP/CD that features 9 compositions dedicated to railways and train travel throughout the night. Painting Petals on Planet Ghost is a new project featuring space feline brothers, Maurizio & Roberto Opalio, and their longtime partner-in-crime, Ramona Ponzini. Ponzini also appeared on a duo album with Roberto last year, Praxinoscope. With that in mind, don't expect this to sound like My Cat is an Alien with an extra collaborator. No, Painting Petals on Planet Ghost traverses new ground, staying away from the extended splendid cosmic explorations that MCIAA have become known for. Make no mistake about it, Ponzini is the shining star here. Her tentative, beautiful voice is like a beacon leading the brothers, like moths to a lamp, toward their destiny. Unless you're fluent in Japanese, you're not likely to have any idea what Ponzini is singing. As she recites various Japanese poems, the Opalio brothers paint an aural backdrop of loneliness and desolation. These songs are like the last will and testament of someone stranded in the middle of nowhere. This is their message in a bottle. Most haunting is "Haru No Hi Ni." The Opalio's solemn acoustic guitar plucks reek of desperation. Hearing it over and over again, I feel like someone is ripping my heart from my chest. Ponzini's voice floats above the surface, doing its best to stay on top of the wreckage. Each note is like a tiny dagger filled with the worst kind of poison. Simplicity is the best weapon here, and the trio absolutely nails it. This is one of the year's best songs, hands down. Elsewhere on this record, the backing instrumentation is even more minimal, but still works. The opener, "Sakura No Hana No Oto Ga Kikoeru," features little more than the gentle clanging of chromatic percussion underneath Ponzini's incantations. And at the beginning of the closing piece, "Sakurabana," the trio returns to this format. As it moves forward, the brothers add melancholy drones with (what I think is) an antique accordian. The dichotomy of this and the percussion at the beginning only adds to the longing in the piece. It settles itself right into your bones. Debut recording from Italy's Opalio brothers (My Cat Is An Alien) and Ramona Ponzini. An esoteric and mesmerizing trip through space, minimalism and emotion. Each track recorded at a different mystical location in the western Alps, and centered around Ramona's beautiful vocals, all of which are sung in traditional Japanese. Maurizio & Roberto add sparse accompaniment by means of toy piano, alien keyboard tones, antique accordion, percussion, tape effects, and some particularly evocative acoustic guitar. Four Tet is the name used by Kieran Hebden (born 1980 in Putney, London, UK) for his experimental electronic music-oriented solo efforts, to differentiate from his work with post-rock band Fridge. Hebden's solo work typically utilises samples lifted from various sources including hip-hop, electronica, techno, jazz, and folk mixed with his own guitar playing. Four Tet shares some stylistic similarities with other musicians, such as Prefuse 73, who use computer editing techniques that give the music a staccato, cut-up feel. Hebden's music is notable for its rich, organic sounds and harmonious melodies as well as for eschewing the traditional pop-song format in favour of a more abstract approach. Kieran Hebden began releasing material as Four Tet in 1998 with the 36 minute and 25 second single "Thirtysixtwentyfive" on Trevor Jackson's Output Recordings label. Later that year, he released a second single, the jazz-influenced "Misnomer". 1999's Dialogue, again on Output, was Four Tet's first full-length album release and fused hip-hop drum lines with dissonant jazz samples. This was followed by the double A-side single "Glasshead"/"Calamine", which was to be Four Tet's last release on Output. In late 1999, Warp Records released a tenth-anniversary compilation of remixes of Warp tracks; Hebden contributed a remix of "Cliffs", the opening track of Aphex Twin's Selected Ambient Works Volume II. This relatively high profile exposure attracted a lot of new interest in Four Tet from fans of electronica and IDM, genres in which the Warp brand had a preeminent status. In 2001, Four Tet's second album Pause was released on Domino and found Hebden using more folk and electronic samples, which was quickly dubbed "folktronica" by the media & press in an attempt to label the style (often also applied to artists such as ISAN, Gravenhurst and some of Canabrism's later work). The acoustic guitar track "Everything Is Alright" is the theme music for the National Public Radio talk show On Point, produced at WBUR in Boston, Massachusetts; it was also featured in a US Nike commercial in 2001-2002 and in the Sony Bravia commercial in 2005. Rounds was released in May 2003. It was Hebden's most ambitious album to date, incorporating diverse samples such as the mandolin on "Spirit Fingers", and even a rubber duck on the closing track "Slow Jam". Three singles were released from the album: "She Moves She", "As Serious as Your Life", and "My Angel Rocks Back and Forth". This last single was released as an EP featuring remixes by electronica duo Icarus and Isambard Khroustaliov along with additional Four Tet tracks "I've Got Viking in Me" and "All the Chimers". An accompanying DVD featured all of Four Tet's videos to date. At the beginning of 2003, Four Tet opened for Radiohead on their European tour. A remix of the song Scatterbrain from Radiohead's latest album Hail to the Thief was included on their 2004 EP COM LAG (2plus2isfive). A live album named Live in Copenhagen 30th March 2004 was released in April 2004 as a limited edition, available only through the Domino Records website. His fourth studio album Everything Ecstatic was released on Domino on 23 May 2005. The video for the lead single, "Smile Around the Face", features actor Mark Heap. The album brought with it another shift in style, leaving behind the breezy "folktronica" of Pause and Rounds for a darker, more complex sound. On 7 November 2005, Domino has released a DVD version of Everything Ecstatic featuring video clips for each track of the album plus a CD with new material. Hebden has also remixed, under the Four Tet name, tracks by a wide range of artists including Madvillain, Bloc Party, Super Furry Animals, Beth Orton, Badly Drawn Boy, The Notwist, Boom Bip, Kings of Convenience, Explosions in the Sky, Radiohead, and Doves. Sound magicians with violoncellos, Tara Fuki duo, recorded the third album and named it "Auris" (from Latin, meaning an "ear", but also to hear and listen carefully). Their previous albums met with great success both domestic and international and brought Tara Fuki to the top of the Czech alternative scene. The band even gained two awards of the Academy of Popular Music "Andel 2001" for the debut album Piosenki do snu. This time, Tara Fuki with the contribution of invited guests offer their listeners an exceptional music tidbit. Contrary to the previous recordings, Auris is emotionally richer and deeper, livelier and with sound that is unique on the Czech musical scene. In ten compositions, the listener is captured by the lightness with which Tara Fuki incorporate their cellos into the gurgling potion of tones let out by mysterious instruments such as Swiss hangs, Indian tabla, Pakistani kanjira and with which it engagingly caresses instruments almost classical (piano, guitar and bass clarinet). The enormous power of artistic expression of Tara Fuki dwells in their utterly natural vocal spontaneity and perfect coordination based on mutual complementation. Dorota's mighty and velvet dark alto underlined by Andrea's frail soprano gives origin to unique hues and nuances. Polish lyrics (mainly written by D. Barova) inspired by personal relationships and intimate conversations between two people, present a powerful testimony. With the help of precisely cut crystal clear music they enable a multiple view of dark recesses of the kaleidoscope of the human soul. The overall sound of Tara Fuki has been extended with new instruments and also with a whole range of means of expression, and thus we are accompanied through the music waterfall by bewitching incantation whisper and lyrical jazz ballad to earthy ecstatic trance, in order to eventually hear two naked voices highlighted. The songs originated gradually on travels, during breaks between concerts, and they were most intensely worked on during the heat of last summer; they were recorded before the end of the year in the Prague studio of Petr Pinos. The producer and sound director is Ales Hyvnar (Al-Yaman), who discreetly wrapped the remarkable music world of Tara Fuki in the spices of a very contemporary dimension. The preparation of the new album took longer this time that it was with the previous ones due to the fact that Andrea Konstankiewicz has moved to France for good. Andrea answers the question whether Tara Fuki is happier to give concerts in this country or abroad: "The most beautiful concerts are in places where we manage to create a special atmosphere. When the air suddenly thickens and time stops in one magic moment: this happens when the audiences start to breathe with us or they suddenly hold their breath." "The most beautiful concerts are in places where we manage to create a special atmosphere. When the air suddenly thickens and time stops in one magic moment: this happens when the audiences start to breathe with us or they suddenly hold their breath." Both of these two energetic violoncellists come from Northern Moravia, where they were passing by each other while studying at the Ostrava Conservatory. They met one year ago in Brno during their musicology studies at the Philosophical Faculty. 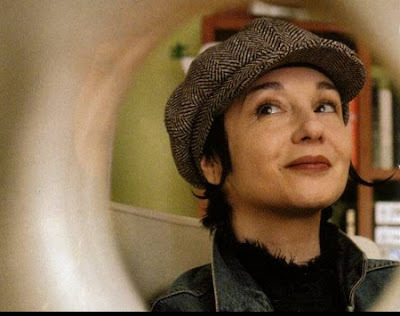 Andrea (born in 1972) was at that time featured in the band BOO and in the international music-dance formation Rale, while Dorota (born in 1975) was playing with the Brno-based alternative band Lippany. They were both willing to play in an acoustic structure ; moreover it appeared soon that Dorota had a beautiful voice. In their music and texts, they get inspired by the poetry of the night and by the dreams, which they consider as extractions from the sub-conscious. "It is because what happens to us during the night is totally different and sometimes even truer than what we perceive in the day," says Andrea. Just like dreams, their music is able to gently caress and soothe, but also to hurt with its brutal urgency. Their texts are written in Polish, which, as they unanimously agree, they have flowing in their veins. Dorota's mother is Polish and the great-great-great-grandmother of Andrea was a Polish countess. Moreover, "the Polish language is far more fit for singing because it has softer consonants and vowels than the Czech language. I think that in that language my voice even has another coloration" says Dorota. Their own musical style is so original that it escapes all possible classification, but it rather surely pines for communication with the receptive and open listener who is not afraid to dream. Tara Fuki is a duo of classically-trained female cellist/vocalists - Andrea Konstankiewicz (Polish) and Dorota Blahutova (Czech). Their music defies a single genre, infusing jazz and classical elements with village-folk and gypsy themes, "world" and electronic beats and beautifully delivered lyrics in Polish, Czech and other languages. Bill Callahan, born in Silver Spring, Maryland. Callahan pioneered the lo-fi genre of underground rock, with homemade tape-albums recorded on four track tape recorders. Later he signed a record contract with the label drag city. Callahan started out as a highly experimental artist, utilizing sub-standard instruments and recording equipment. His reason for using the lo-fi approach was not so much an aesthetic choice, rather it came from his lack of knowledge of recording studios, and fear of giving up control to professional engineers. His later work saw him overcoming his fear of studios and producers, and in this period he recorded two albums with the influential producer Jim O'Rourke and musicians from the circles around drag city, as well as collaborating with the similar-minded Neil Hagerty. His songs are based on simple, repetitive structures, strikingly characterized by his baritone vocal. His lyrics are often centered around themes of spiritual searching and the complexity of emotions, with the use of subtlety and dark irony in the classic sense. There is also a broad swathe of joy throughout Callahan's work (and a singular obsession with horses that he shares with Will Oldham). He is a keen storyteller using simple words to project large and deeply echoing tales. Callahan's love life has been documented with vigor in numerous hipster publications, including his romantic relationship with Chan Marshall (Cat Power), who allegedly penned "To Be a Good Woman" in tribute to Callahan while referencing his song "To Be Of Use." It has recently been rumored that Callahan is now involved with drag city labelmate Joanna Newsom. None of this infomation, however, is important to appreciate his music. Callahan is widely seen as one of the important figures of American rock in the '90s. He currently resides in Austin, TX. On his 2007 album "Woke on a Whaleheart" he dropped the name Smog and used his real name, Bill Callahan. Stina Nordenstam born Kristina Marianne Nordenstam March 4, 1969, Stockholm, Sweden, is a Swedish singer-songwriter. Nordenstam's distinctive, breathy voice lead to early comparisons with artists such as Rickie Lee Jones and Björk. Her early albums, Memories of a Colour and And She Closed Her Eyes were significantly jazz-influenced, with only subtle elements of alternative rock. With 1997's Dynamite she started down a darker, more experimental path - most of the album was filled with processed, distorted electric guitars and unusual beats, but careful listening revealed her unique songwriting abilities. 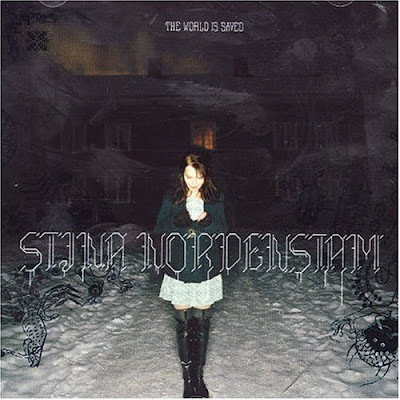 An album of covers, People are Strange, followed before she returned in 2001 with This is Stina Nordenstam, an album with shorter songs and a more pop-like (but still highly distinctive) feel; ex-Suede vocalist Brett Anderson featured on two tracks. In 2003 she appeared on a duet with Jonas Bjerre from Mew on Mew's third album 'Frengers' with a song titled 'Her Voice is Beyond Her Years'. Her 2004 album The World is Saved continues the path set on This Is..., but presents a more realized sound and acknowledges her earlier jazz influences more. In addition to being a musician, Nordenstam is also an accomplished artist in other fields, such as photography and music video directing. Slightly reclusive, she gives very few interviews, rarely performs live and even alters her appearance using wigs and make-up for album covers and magazines. During the promotion for The World Is Saved, however, she gave more interviews than usual and even talked about the possibility of future live performances. In 2006 Nordenstam appeared in Snow Borne Sorrow - an album by the band Nine Horses singing songs-duets with the band's vocalist David Sylvian.